Dual citizenship simply means that a person is a citizen of two countries at the same time. But this can get a little complicated. To which country is the citizen truly loyal? 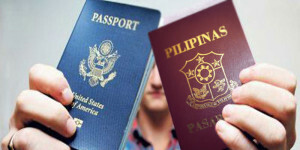 Which passport should be used when traveling? And which military is one obligated to serve? Every country has its own laws and policies concerning dual citizenship. If you have American dual citizenship or are exploring the possibility of having it, there are some important aspects that you should understand. At one time dual citizenship was outlawed in the United States. You couldn’t have American dual citizenship. However, laws forbidding American dual citizenship were overturned by the U.S. Supreme Court in 1967 (Afroyim v. Rusk) and in a subsequent 1980 ruling (Vance v. Terrazas). You may be surprised to learn that the Oath of Allegiance recited during the Naturalization Ceremony requires new citizens to renounce their citizenship with their previous country. The Supreme Court chose to leave in place the requirement that new citizens must renounce their old citizenship during U.S. naturalization. However, in practice, the U.S. government does not pursue renunciation from the new citizen’s previous country and continues to consider the person’s original citizenship to be in effect. People can obtain American dual citizenship either automatically or voluntarily. For example, a child born in the United States automatically qualifies to become an American citizen. In some cases the child might already be a citizen of another country because of the nationalities of the birth parents. This will depend on the unique laws of each country. Likewise, a child born in another country to American citizen parents may be both an American citizen and a citizen of the country of birth. Again, this depends on the unique laws within that country of birth. There are limitations to American dual citizenship, and one can lose American citizenship in some cases. A U.S. citizen who automatically receives citizenship from another country does not lose American citizenship. However, a person who acquires a foreign nationality by applying for it may lose U.S. citizenship. You will not lose your U.S. citizenship if you gain foreign citizenship automatically, such as through marriage or birth. But you can lose U.S. citizenship if you voluntarily apply for citizenship in another country. Read more. There is no military draft in the United States, but all men age 18-25 must sign up for the Selective Service. Contact the other country’s embassy or consulate for assistance if that country mandates military service of its citizens. You may need to use two passports. You must use your U.S. passport to enter or leave the United States. Likewise, the country of dual citizenship may require you to use their passport. Check with that country’s rules by contacting their U.S.-based embassy. You can renounce U.S. citizenship at a U.S. Embassy or Consulate abroad. If you have American dual citizenship and want to renounce your foreign citizenship, contact the foreign country’s embassy or consulate for information on renouncing that country’s citizenship. Before renouncing citizenship, it is always wise to speak with an experienced immigration attorney that can educate you on how it will affect your specific situation. Countries that allow American dual citizenship include: Armenia, Australia, Bangladesh, Barbados, Belgium, Canada, Cyprus, Egypt (requires prior permission), Fiji, Finland, France, Germany (requires prior permission), Greece, Hungary, Iceland, Iraq, Ireland, Israel, Italy, Lebanon, Malta, Pakistan, Philippines, Portugal, Serbia, Sierra Leone, Slovenia, South Africa (requires permission) , South Korea, Sri Lanka (by retention), Sweden, Switzerland, Syria, Tonga, Turkey (requires permission), and the United Kingdom. Countries that do not allow American dual citizenship include: Andorra, Austria, Azerbaijan, Bahrain, Botswana, Brunei, Burma, Chile, China ,Czech Republic, Denmark, Ecuador, Estonia, India, Indonesia, Iran, Japan, Kazakhstan, Kenya, Kiribati, Korea, Kuwait, Latvia, Lithuania, Malaysia, Mauritius, Mexico, Myanmar, Nepal, Netherlands, Norway, Papua New Guinea, Peru, Poland, Romania, Singapore, Slovakia, Solomon Islands , Spain, Thailand, United Arab Emirates (UAE), Venezuela, and Zimbabwe. Countries are constantly changing their nationality laws; the list of countries above is subject to change. If you would like to have American dual citizenship, check with the country’s embassy within the United States for the most current rules. There are countless people that have dual citizenship. Sometimes it helps to know that many recognizable names and personalities are living with citizenship from more than one country. 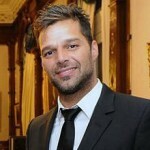 Here are just a few of the most high profile celebrities that have American dual citizenship. Angelina Jolie is a native-born American citizen. However, her endless humanitarian work in Cambodia, including the establishment of a wildlife preserve, was recognized by the king of Cambodia in the form of citizenship in 2005. Natalie Portman was born in Israel but immigrated to the United States with her family as a young child. Although she has been wildly successful as a Hollywood actress, Portman has stated that she feels connected to her Israeli roots and would like to raise her children Jewish. Nicole Kidman is clearly Australian. Her parents are Aussies. She speaks with an Australian accent and grew up in Australia. She is in fact an Australian citizen. But she was also born in Hawaii, making her a dual citizen of the United States. 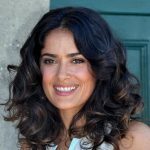 Salma Hayek was born and raised in Mexico. She gained notoriety in the Mexican telenovela Teresa, but eventually immigrated to the United States where she is still one of Hollywood’s best regarded actresses. Hayek has become a naturalized U.S. citizen. Charlize Theron is originally from South Africa. Considered one of Hollywood’s most beautiful and talented actresses, Theron became a U.S. citizen in 2007. Jim Carrey was born a Canadian citizen and has gone on to a career as one of America’s great funny men. 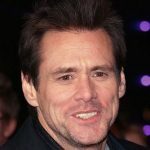 He is quoted as saying that the United States “helped define me and make my dreams come true.” Carrey became a naturalized U.S. citizen in 2001. 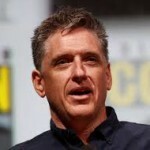 Craig Ferguson got his entertainment career started in Scotland. In 2008, he famously broadcast his taking of the U.S. citizenship test as well as his swearing in on The Late Late Show. For a comprehensive list of famous, accomplished and notable immigrant Americans, visit our Famous Immigrant Birthdays. The concept of dual nationality is essentially the same thing as American dual citizenship. U.S. law (INA §101(a)22) states that “the term ‘national of the United States’ means (A) a citizen of the United States, or (B) a person who, though not a citizen of the United States, owes permanent allegiance to the United States.” Therefore, a U.S. citizen is also a U.S. national, but a U.S. national isn’t necessarily a citizen. Non-citizen nationality status refers only individuals who were born either in American Samoa or on Swains Island to parents who are not citizens of the United States. The concept of dual nationality means that a person is a national of two countries at the same time. Designed by attorneys, CitizenPath is the online service that makes immigration forms simple. 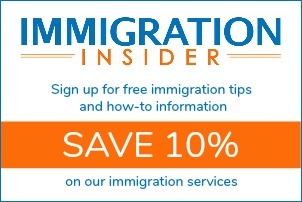 The website provides simple, step-by-step guidance through USCIS applications and petitions. The low-cost service helps to simplify the process by explaining each question and providing alerts if your answer to a question could be a problem. 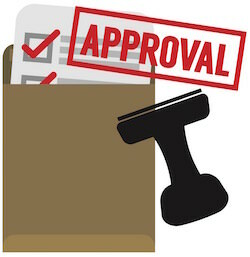 Most people do not need a lawyer to prepare USCIS forms, but many need a little assistance. That’s where CitizenPath can help. CitizenPath provides support for the Citizenship Application (Form N-400), Green Card Renewal (Form I-90), and several other popular forms.